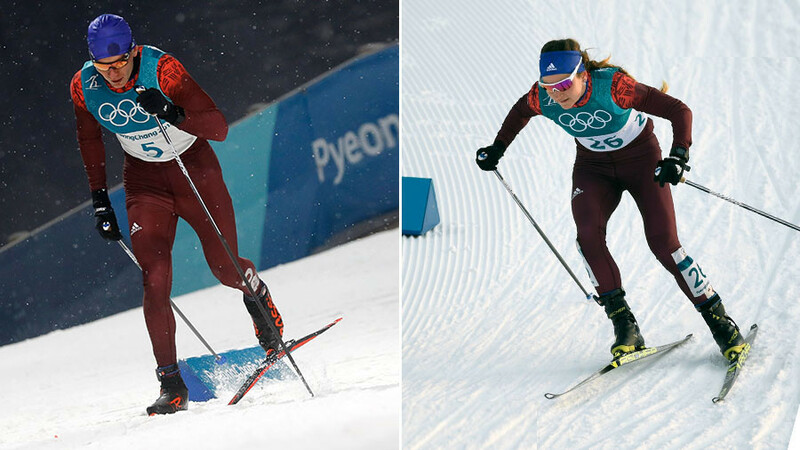 Olympic Athletes from Russia Yulia Belorukova and Alexander Bolshunov both finished third in their cross-country classic sprints, adding two more bronze medals for their team. Belorukova finished third in the women’s classic race, winning the first medal for the OAR cross-country skiing team at the 2018 PyeongChang Games. Just minutes later, two-time world junior champion Bolshunov achieved the same result in the men’s sprint. The favorite to win the women’s race, Stina Nilsson of Sweden, confirmed her status as the fastest sprinter by taking gold on Tuesday. Maiken Caspersen Falla of Norway failed to defend her Olympic crown won at the 2014 Sochi Winter Games, and came in second. Belorukova, 23, showed the 15th best time in the preliminary round, but breezed through qualifying to reach the decisive stage of the competition, where she claimed bronze. Fellow Russian skier Natalia Nepryaeva finished fourth in the same race. In the men’s race, Norwegian skier Johannes Klaebo left behind all of his rivals to claim the second gold for his country in skiing events. Italian Federico Pellegrino was the second athlete to cross the finish line, while Russian 21-year-old talent Bolshunov completed the podium. Despite pessimistic predictions from some sports pundits, Olympic debutants Belorukova and Bolshunov managed to win medals in the absence of the team leaders Sergey Ustiugov, Alexander Legkov and Nikita Kruikov – all of whom were denied the Games entry by the International Olympic Committee (IOC). The Court of Arbitration for Sport (CAS) had overturned the Olympic bans and dropped all doping charges against 28 Russian athletes, including Legkov and Kriukov, stating that the evidence used against them was not sufficient to establish any doping violation. On the day of the opening ceremony of the PyeongChang Games, CAS rejected the last-minute appeals of Russian athletes and coaches, stating that an invitation to the Olympics lies within the competence of the IOC.